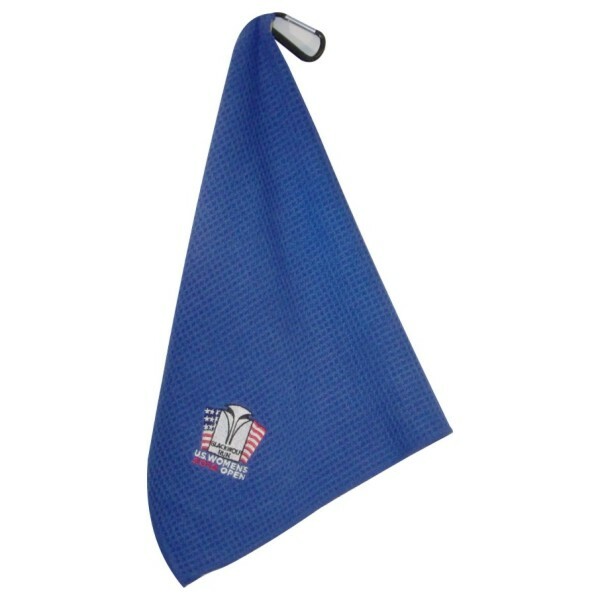 The Waffle Weave Golf Towel is made from micro fiber and woven in a pattern so that it will not pick up trash like lesser quality micro fiber towels. It's size is 17 x 25 and has a carabiner to attach it to your bag. We place your embroidered logo on the corner of one side in an appropriate size to show off your logo. Minimum order is 36 pieces.